Orange Jelly; Sunshine in a Jar! Sweet Mandarin Orange Jelly is delightful and flavorful! It’s a bright burst of sunshine in a jar of homemade jam! It’s easier to make than you think and a hundred times better than anything storebought – you’ll love this jam! First Published: October 6 2015 Updated: March 2019 to improve the reader experience. 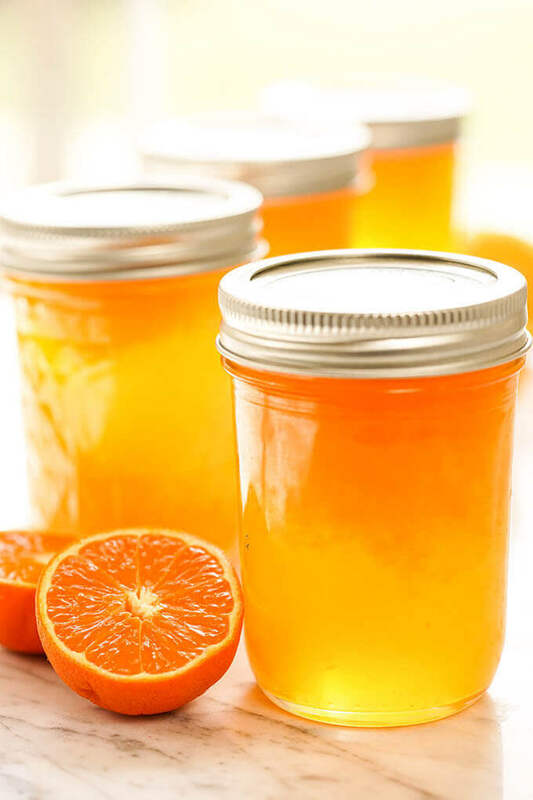 Homemade Orange Jelly is taste of sweet citrus sunshine in a jar! I always take jam and jelly home when we travel. I make sure there’s enough for everyone but it always seems like there’s an extra jar. I’ve joked about this, but it’s not unusual for my Aunt’s Barb and Shirley to arm wrestle over that one extra jar of strawberry, blueberry or mango jam while the rest of us laugh, giggle and urge them on! It’s also a given that the TSA will search my suitcase when we fly. They inspect the “cargo” and 8 times out of 10 there is a jar missing (true story!). I really should be nice enough and pack some bagels or muffins to serve with the jam, don’t you think? At least I hope they don’t open it up and just throw it away!! Anyway, if you’ve ever enjoyed handcrafted preserves you know it’s nothing like you get from the market. The flavors are amazing, real fruit with tons of flavor! 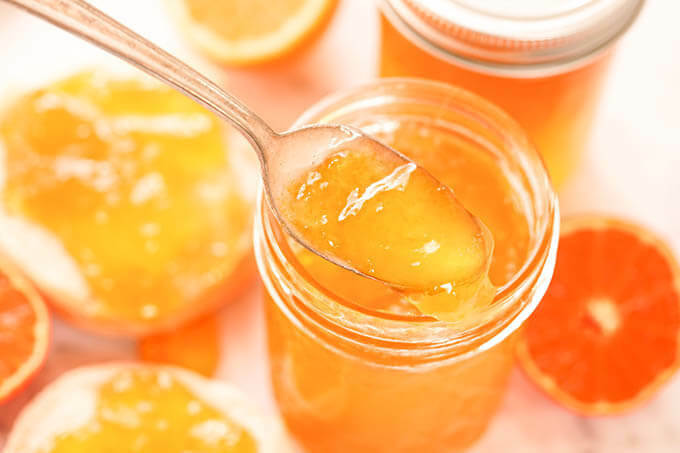 This recipe for orange jelly is one my friend Michelle shared with me many years ago. It has a sweet delicate flavor and it tastes like what I imagine is sunshine in a jar. This is one of my favorite jams! 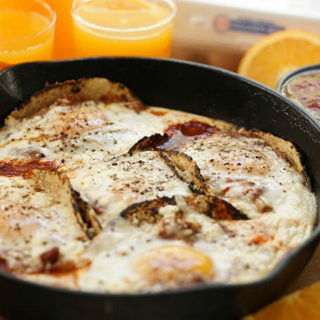 Orange jam – what’s your favorite way to enjoy it? I think mandarins are my favorite winter fruit, they have such a bright fresh flavor and the natural sweetness is so delicious! Living here in the Central Valley this fruit is readily available. It’s not unusual for us to go thru 40 lbs. over the wintertime. AND it makes the BEST jelly! Is a mandarin the same as an orange? No, they are different. Mandarins are smaller and sweeter than oranges. They have loose skin that is easy to peel. You’ve seen bags of “Cuties” in the store, right? They would be perfect for this recipe! Cuties are a specific type of mandarines as are tangerines, both would be perfect for this recipe and delicious! Is marmalade the same as jelly? Here’s the difference; jelly uses the juice of the fruit and marmalade is made from citrus with the bits of the peel suspended in the jelly. 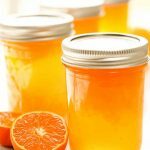 Is orange jelly hard to make? No, you totally got this! If you can read and follow directions you can make this jam! What you may need are some basic canning supplies. There’s a link at the bottom that shows you exactly what you need. Orange jam is easy to make! Follow the directions exactly. When the directions say boil for one minute, boil one minute exactly – set a timer! 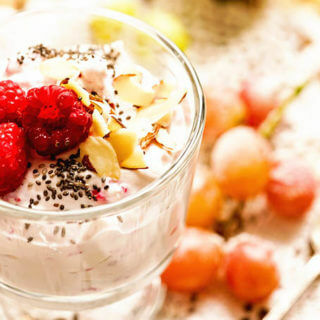 Do not use a sugar substitute or eliminate the sugar, even a portion of it! This can cause the jam to not set up properly OR the jam could spoil, growing mold on the top! The jam may seem runny at first. Allow it to completely cool. It can take up to 3-4 days for the jam to be completely jelled. Sweet and delicious Sweet Mandarin Sunshine Jam is one of my favorites! Sterilize the jars, lids and rings. Juice the mandarins and lemons. Add juices, sugar and butter to a large pot and bring to a boil. Add 1 package Liquid Certo, bring back to boil. Boil hard for 1 minute more. 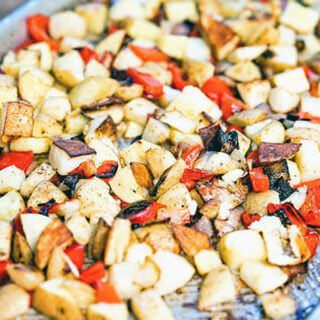 Remove from heat and immediately ladle into sterlized jars. Add the lid and screw on tightly. Process in a water bath for ten minutes to seal completely. Makes 7 to 8 pint jars of jelly. 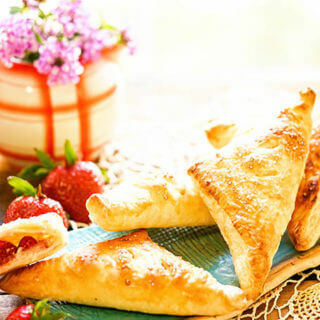 More easy jam and jelly recipes to try! Canning Essentials Kit – this contains the basic thing you’ll need to make this jelly! Love it? I knew you would!! Please share your comments below along with a five-star rating, you’ll make my day! Be sure to tag me on Instagram @bowl_me_over or #bowlmeover – so I get to see all of your great pictures!! 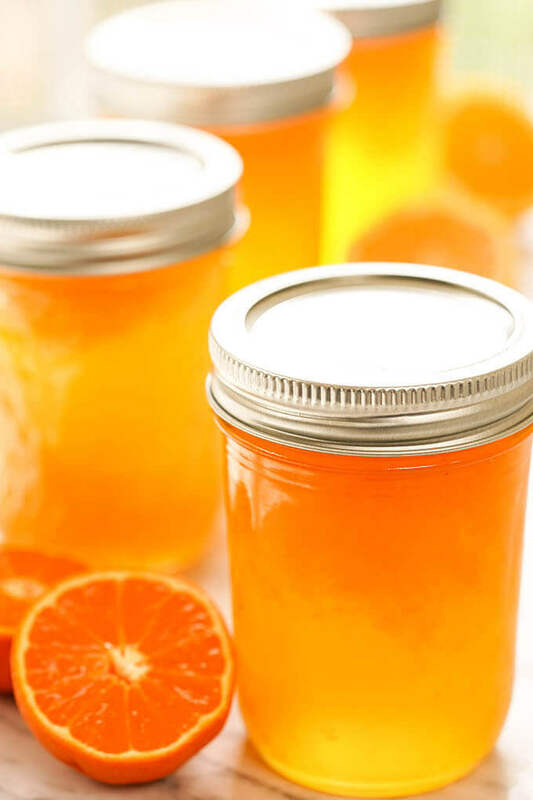 Orange Jelly has all the flavors of summertime packed into a delicious jar of homemade jam! 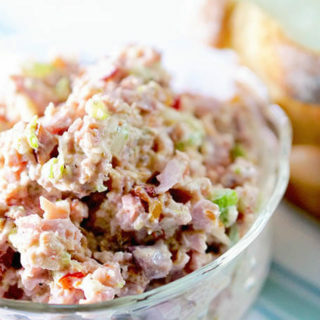 This is an easy jam to make that is full of bright citrus flavors! Sterilize the jars, lids and rings to prepare for jam. Measure the juices exactly. 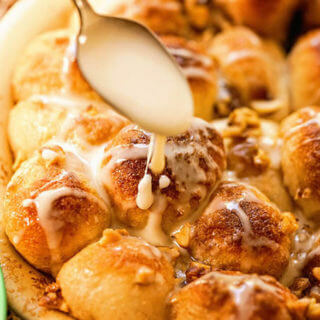 Add the juice, sugar and butter to a large heavy bottom pan. Bring to a boil. Boil hard for exactly 1 minute, stirring constantly. Add 1 package Liquid Certo, bring to boil and boil hard for 1 minute more. Remove from heat and immediately ladle into sterilized jars. Using a damp paper towel, clean off the tops of the jars and then add the lid. Screw the ring on the jar and process in a hot water bath for 10 minutes to seal. This is just a fresh and lovely jam to put on your morning toast or wot your evening meal. Love it. It really is the best – I think it’s my favorite of the jams, all that bright fresh flavor is delicious! I love this jelly it is just so good. Will be making it very soon. Love it. This jelly is amazing! You’ll love it Lola!! I always loved orange jelly! But the home-made is so much better than from a store! Thanks for the recipe! Good morning Roxanne! I would imagine powdered pectin would work, but I’ve never substituted it. My concern is citrus jams are quite finicky and it may not set up. If it didn’t you could do two things: 1. remove the jam from the jars, reboiling adding the liquid Certo and adding the jelly back into sterilized jars and reprocessing or 2. labeling it as syrup 😀 If you can find the liquid Certo I would start there. I am not usually a fan of anything orange flavored unless it is an actual orange or orange juice, but this was amazing! Like eating a fresh orange picked from the tree and sunshine all at the same time!! Can’t wait to see how many other foods I can use this on besides my morning bagel. Definitely throwing this on my next cheese board! That’s awesome, this is one of my very favorite jams! I’m thrilled that you gave it a try! !